We have marked a distinct place for providing a high-quality array of Abrasion Resistant Ceramic Coating Services. Offered array of services is rendered by professionals with following industry norms. 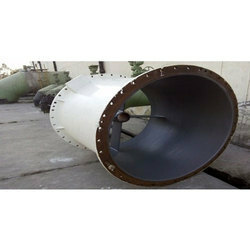 Apart from this, an offered coating is used in agitator shafts, chutes bins, slurry lines, pipe elbows, spiral classifiers, and valves. In order to meet the necessities of the client, we are providing Ceramic Coating Service. This service is enormously admired by the customers for their timely completion. Our offered service is available in different forms that meet on patron’s demand. We are instrumental in offering an alluring range of finest quality Ceramic Coating to our clients, hat are specially formulated thin film that can provide better service in sea water, chlorine application and cooling water pump. These coatings are widely used for the protection of process equipments against bimetallic corrosion, cavitations and pitting. We offer Ceramic Coating Services to provide compressive strength and chemical resistance. They prevent the material from harmful effects like high humidity, extreme fluctuations in temperature, steam, hydrocarbon contact, and chemical contact. These services are available at affordable price. These coatings increase the bond strength and also make it temperature and shock resistance. With sincerity and hard work of our experts, we have carved a niche for ourselves in this domain by rendering optimum quality Ceramic Coating Service. The coating which is resistant to high temperature is carried out under the strict supervision of our professionals using the best grade ceramic powder and advanced techniques. Owing to our rich industry experience, we are able to render Bright Silver Ceramic Coating Service. The paintwork sealants are money well spent, for they will protect the paintwork of your car against corrosion and environmental influences - reliably and for months. You can select the classic hard wax sealing or try one of the two high-tech sealants on offer, all of which have one thing in common : Lasting protection and shine from the car care experts.